The Marshfield Mail is a local community magazine, business directory and What’s On Guide, aimed at the Residents and Businesses of Marshfield and surrounding areas in between Cardiff and Newport in South Wales. The Marshfield Mail is distributed free of charge to 3,000 homes and 200 businesses in Marshfield and the surrounding areas. If you are seeking to advertise to the residents and businesses of Marshfield and the other affluent areas on the outskirts of East Cardiff or West Newport including areas such as Castleton, St Brides, Peterstone, Michaelston-y-Fedw, Coedkernew, and Old St Mellons the Marshfield Mail magazine would be a perfect place for your advertisement. 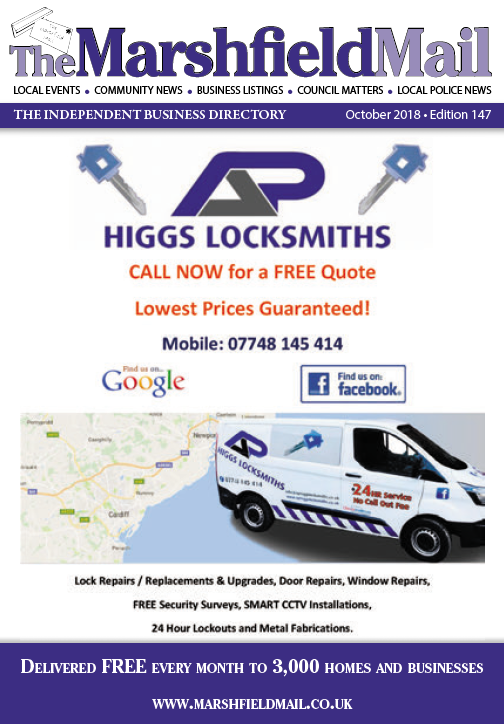 The problem with most advertising is that it doesn’t always get you in front of your target market – advertise with The Marshfield Mail and you know that you are successfully advertising to local households month after month. Advertising in The Marshfield Mail offers incredible value and an advertisement for a whole year is less than a single insert in the Western Mail. Who Would Benefit from Advertising in the Marshfield Mail? Any Local Business based in Marshfield, Castleton, St Brides, Peterstone, Michaelston-y-Fedw, Coedkernew & Old St Mellons, looking for some more local customers including builders, plumbers, gardeners, landscapers, roofers, window cleaners, accountants, double glazing firms, hairdressers, beauticians, Pubs, clubs, restaurants, hotels, golf clubs etc. Any business in Cardiff or Newport looking to target this affluent area in between Cardiff & Newport in South Wales including Take Away companies, retail businesses, leisure activities etc. National Business interested in targeting Affluent Residents, Rural areas, ABC1’s etc. and want to include the Marshfield Mail in with their marketing mix.